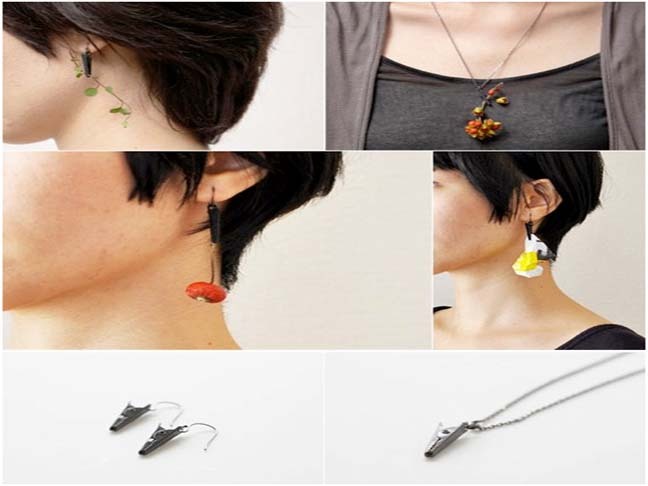 Express your moods as they strike you with this simple yet utterly ingenious jewelry from Japanese husband and wife design-duo Fift. The idea behind Pick a Jewelry by Fift is one of simple perfection. Instead of being attached to a gemstone, the earrings and necklace are merely alligator clips that you use to attach your own precious objects. Anything you find and attach becomes your own jewelry. 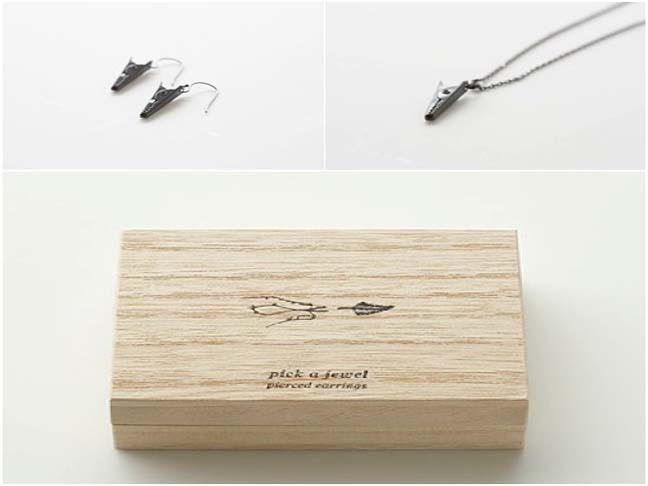 The necklace and earrings are available separately for 2,800 yen (roughly $34 USD). They can be purchased through White Rabbit Express, a buying service that allows you to purchase and ship nearly any product from Japan.